With din-rail, fanless and rugged design, the ICO300 embedded system utilizes low power 22nm Intel® Atom™ processor E3815 (1.46 GHz) and supports DDR3L system memory maximum up to 4GB, delivering high performance at competitive price. This intelligent Intel® Atom-based IoT gateway solution supports complete expandability and features, including wireless support, four RS-232/422/485 ports, two isolated Gigabit Ethernet ports, two high-speed USB 2.0 ports, RTC battery function, and wide range 12-24VDC power input with terminal block. The ICO300 is also Axiomtek's first IoT gateway solution certified by Microsoft Azure IoT. The application-ready ICO300 simplifies the development process and achieves accelerated business transformation of IoT environment. 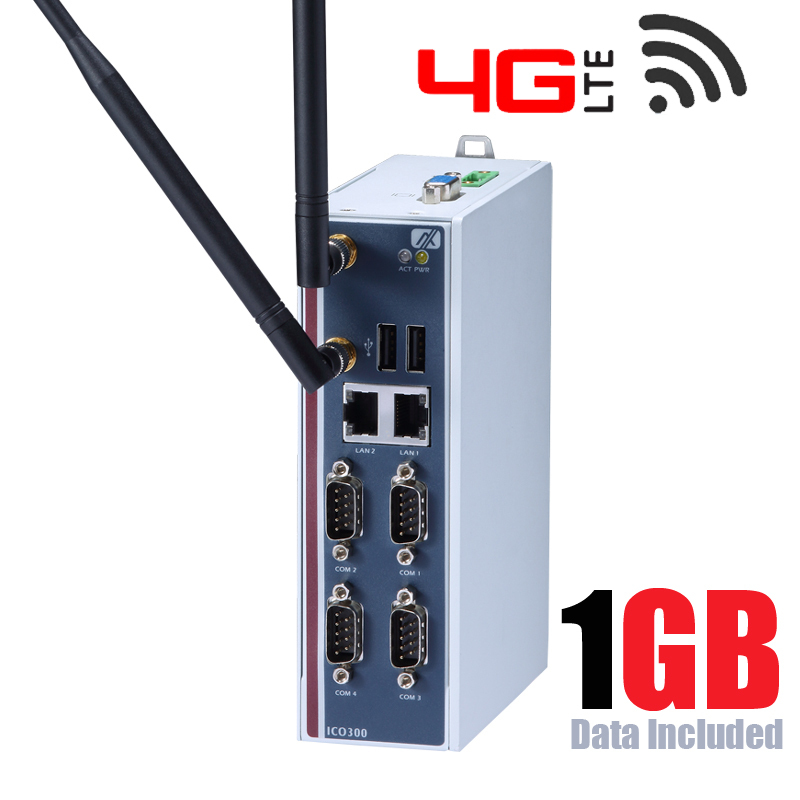 This intelligent IoT gateway system provides a perfect solution for IoT & M2M, industrial and embedded applications such as power plant automation, facility monitoring systems, intelligent transportation systems and other harsh environments.